OnePlus 7 is the upcoming smartphone by the Chinese company. As the release date is coming closer and closer, it’s natural that we receive more and more information about it. Renders that showed up last month showed the OnePlus 7 in full, so take a look and the new phone’s design. The phone will come with an almost bezel-less display and a pop-up front-facing camera. Consequently, this time around there won’t be any notches on the 6.5″ display. This will make the screen to body ratio go up to 95%. On the back of the phone, there will be a triple camera setup. The main sensor will have the resolution of 48MP. It will come accompanied by a secondary 20MP camera and a 16MP third lens. The front-facing camera will come on a pop-up mechanism, and it will have the resolution of 16MP. The new OnePlus flagship is expected to come with the latest and greatest Snapdragon 855 chipset inside, paired with at least 6GB of RAM and 128GB storage, although we can expect 8GB or even 12GB RAM versions. Also, the phone is expected to resemble the OnePlus 6T in that it will also lack the 3.5mm headphone port. When it comes to the battery, the phone will have 4000 mAh capacity, and it will support 44W Dash Charging system. 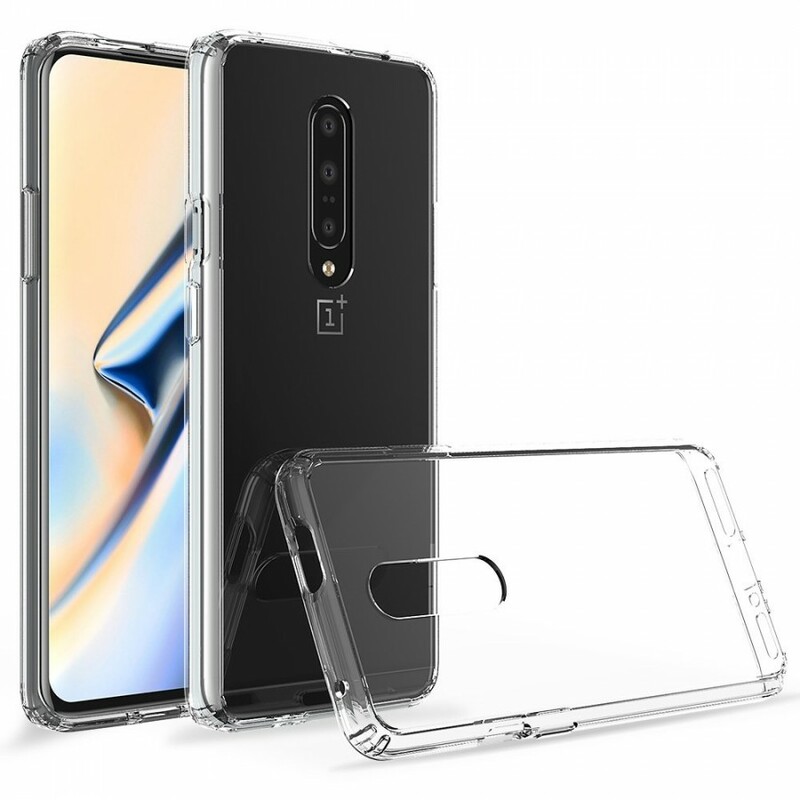 It will come with Android 9.0 Pie out of the box, over which there will be OxygenOS.Today though, we’ve seen new renders of OnePlus 7 cases. We can see that the phone will have volume rockers on the left, while the power button and the mute switch are located on the right. On the bottom, aside from the Type-C charging port, there will be a SIM tray. We believe that OnePlus 7 will be a Dual SIM device with a hybrid SIM tray. 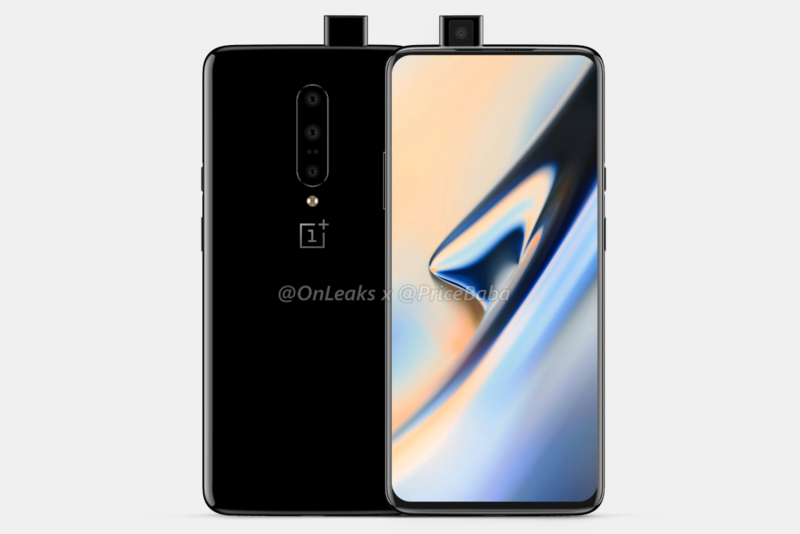 Something else that we can see on these renders is that the OnePlus 7 will come without a fingerprint scanner on the back. We’ve seen the OnePlus 6T with an in-display reader, and the OnePlus 7 will be no different. Take a look at more photos in the gallery below.